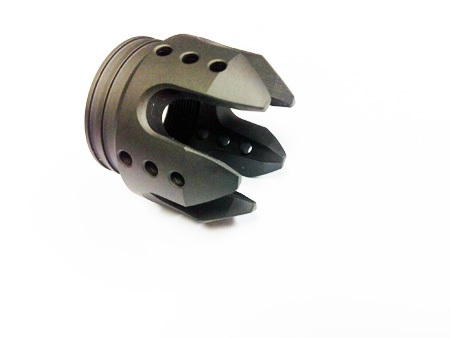 - CNC Machined from Steel for high volume shooters & durable breaching. 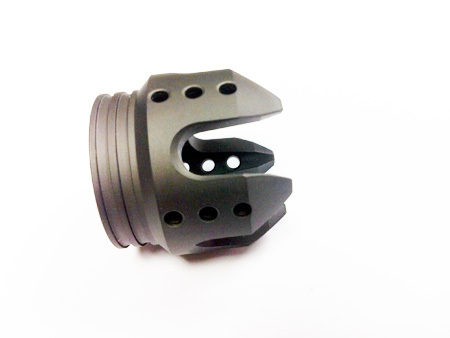 - Use our Barrel Nut Tool available in our store to easily unlock your barrel nut in seconds. 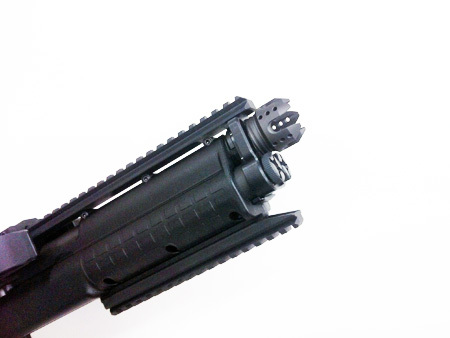 - Vented ports machined to dissipate gasses thus reducing recoil. - New DLC Flat Stealth Black Finish. 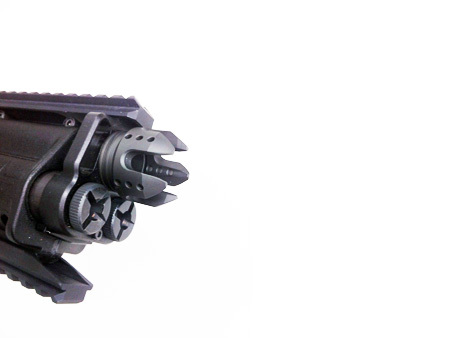 - Notches milled out in front for Door, Lock, Glass Breeching or weapon of last defense if your out of ammo. - This item is copyrighted & "Design Patented", (Pat. Tending) 3/07/14.